Abstract: In the task of data mining, the most important job is to find out frequent itemsets. Frequent itemsets are useful in various applications like Association rules and correlations. These systems are using some algorithms to find out frequent itemsets. But these parallel mining algorithms lack some features like automatic parallelization, well balancing the load, distribution of data on large number of clusters. So there is a need to study the parallel algorithms which will overcome the disadvantages of the existing system. In this paper a technique called fidoop is implemented, In this technique the mappers work independently as well as concurrently. This is done by decomposing the data across the mappers. Reducers work is to combine these jobs by developing small ultra metric trees. To show this fidoop technique on the various clusters is very delicate in distribution of data because different datasets are with different partition of data. This fidoop technique is also useful in heterogeneous clusters. Keywords: Frequent item sets, mappers, reducers, Ultrametric trees, FiDoop. 1. R. Agrawal, T. Imieli´nski, and A. Swami, “Mining association rules between sets of items in large databases,” ACM SIGMOD Rec., vol. 22,no. 2, pp. 207–216, 1993. 3. L. Zhou et al., “Balanced parallel FP-growth with MapReduce,” in Proc. IEEE Youth Conf. Inf. Comput. Telecommun. (YC-ICT), Beijing, China, 2010, pp.243–246. 4. Y.-J. Tsay, T.-J. Hsu, and J.-R. Yu, “FIUT: A new method for mining frequent itemsets,” Inf. Sci., vol. 179, no. 11, pp. 1724–1737, 2009. 6. M. Riondato, J. A. DeBrabant, R. Fonseca, and E. Upfal, “PARMA:A parallel randomized algorithm for approximate association rules mining in MapReduce,” in Proc. 21st ACM Int. Conf. Inf. Knowl. Manage.,Maui, HI, USA, 2012, pp. 85–94. 10. L. Cristofor. (2001). Artool Project[J]. [Online]. Available: http://www.cs.umb.edu/laur/ARtool/, accessed Oct. 19, 2012. 11. J. Dean and S. Ghemawat, “MapReduce: A flexible data processing tool,” Commun. ACM, vol. 53, no. 1, pp. 72–77, Jan. 2010. 17. Ramakrishnudu, T, and R B V Subramanyam. "Mining Interesting Infrequent Itemsets from Very Large Data based on MapReduce Framework", International Journal of Intelligent Systems and Applications, 2015. 18. Bechini, Alessio, Francesco Marcelloni, and Armando Segatori. "A MapReduce solution for associative classification of big data",Information Sciences, 2016. 19. Yun Lu, , Mingjin Zhang, Shonda Witherspoon,Yelena Yesha, Yaacov Yesha, and Naphtali Rishe. "SksOpen: Efficient Indexing, Querying, and Visualization of Geo-spatial Big Data", 2013 12th International Conference on Machine Learning and Applications, 2013. Abstract: This paper presents a new multisignature scheme. The idea behind this scheme is that all authenticated users in the system are classified according to their security levels . Each level has its own trusted group manager. To generate the signature, the proposed system selects one of these levels .Each level consists of a group of users . Each user has its own private and public keys. In addition, this scheme implements the cascade encryption for the generated signature, and thus it is necessary to perform the cascade encryption to use a global private key for each level. The system also assigns trustworthiness score for each user to select the proper one to sign on the behalf of his/her group in that level. Finally, the generated multisignure is proved to be more secure and thus it can be used in sensitive applications. Keywords: Digital Signature, multisignature system, Security Levels, Multi-level proxy signature. 1. K. Itakura and K. Nakamura, “A public-key cryptosystem suitable for digital multisignature”, NEC Research and Development, Vol. 71, October 1983, pp. 1-8. 2. S. Micali, K. Ohta and L. Reyzin, Accountable-subgroup multisignatures: extended abstract”, Proceedings of the ACM Conference on Computer and Communications Security 2001 (CCS 2001), ACM press, 2001, pp. 245-254. 3. K.R.P.H. Leung and L.C.K. Hui, “Signature management in workflow systems”, Proceedings of the 23rd Annual International Computer Software and Applications Conference (COMPSAC’99), IEEE, 1999, pp. 424-429. 4. K.R.P.H. Leung and L.C.K. Hui, “Handling signature purposes in workflow systems”, The Journal of Systems and Software, Vol. 55, 2001, pp. 245-259. 5. S. Mitomi and A. Miyaji, “A Multisignature Scheme with Message Flexibility, Order Flexibility and Order Verifiability”, Proceedings of the 5th Australasian Conference on Information Security and Privacy (ACISP 2000), Spring-Verlag, 2000, pp. 298-312. 6. P. Kotzanikolaou, M. Burmester and V. Chrissikopoulos, “Dynamic multi-signatures for secure autonomous agents”, Proceedings 12th International Workshop on Database and Expert Systems Applications (DEXA 2001), IEEE Computer Society, 2001, pp. 587–591. 8. D. Boneh, H. Shacham and B Lynn, “Short signatures from the Weil pairing”, Advances in Cryptology – AISACRYPT 2001, Springer-Verlag, 2001, pp. 514-532. 9. K. Itankura and K. Nakamura, “A public-key crptosysterm suitable for digital multisignatures”, NEC J. Res. & Dev., vol. 71, (1983). 10. M. Bellare and G. Neven, “Identity-Based Multisignatures from RSA”, In CT-RSA, 2007, LNCS p. 4377, (2007). 11. C. Gentry and Z. Ramzan, “Identity-Based Aggregate Signatures”, In PKC 2006, LNCS, 3958, (2006). 12. D. Boneh, C. Gentry, B. Lynn and H. Shacham, “Aggregate and verifiably encrypted signatures from bilinear maps”, In Proceedings of Euro-crypt 2003, LNCS, 2656, (2003). 13. Haitner, J. J. Hoch, O. Reingold and G. Segev, “Finding Collisions in Interactive Proto-cols - A Tight Lower Bound on the Round Complexity of Statistically-Hiding Commitments”, (2008). 14. K. Ohta and T. Okamoto, “Multisignature schemes secure against active insiderattacks”, IEICE Trans. Fundamentals, E82-A, vol. 1, 1999. 15. W,Lihua , O.Eiji, M.Ying, O.Takeshi,and D.Hiroshi,” ID-Based series-parallel multisignature schemes for multi-messages from bilinear maps” Proceeding of WCC'05 Proceedings of the 2005 international conference on Coding and Cryptography , Pages 291-303 ,Springer-Verlag Berlin, Heidelberg ,2006 . 16. C. WEI , and J. ZHANG, “ Multi-level proxy signature scheme based on strong Diffie-Hellman assumption “, Computer Engineering and Applications, 2008. 17. S. Rahul, R. C. Hansdah , “ Multisignature Scheme for Implementing Safe Delivery Rule in Group Communication Systems “ , Chapter Distributed Computing - IWDC 2004, Volume 3326 of the series Lecture Notes in Computer Science pp 231-239, 2004. 18. T. Jia-lun , W. Tzong ,and T . Kuo-yu ,”A novel multisignature scheme for a special verifier group against clerk and rogue-key attacks” , Journal of Zhejiang University SCIENCE C April 2010, Volume 11, Issue 4, pp 290–295, 2010. 19. Y. Han-u , W. Tzong L. Ming-Lun, and Y. Chi-Kuang ,” New Efficient Identity-Based Key-Insulated Multisignature Scheme”,International Journal of Machine Learning and Computing, Vol. 3, No. 1, February 2013. 20. L. Harn, C.-Y. Lin and T.C. Wu , “ Structured multisignature algorithms”, IEE Proceedings online no. 20040247 , IEE Proc.-Comput. Digit. Tech., Vol. 151, No. 3, May 2004. 21. K. Kei , M. KawauchiHiroshi , and T. MiyajiMitsuru,” A Multi-signature Scheme with Signers' Intentions Secure against Active Attacks”, Proceeding ICISC '01 Proceedings of the 4th International Conference Seoul on Information Security and Cryptology , Pages 328-340 , December 06 - 07, 2001. 22. C. Shenjun , and W. Fengton , “ A New ID-based Designated Verifier Proxy Multi-Signature Scheme” , International Journal of Computer Theory and Engineering, Vol. 3, No. 2, ISSN: 1793-8201, 2011. Keywords: Cloud storage, data shuffling, data de-duplication, self-destruction, encryption algorithms. 1. X. Fu, Z. Wang, H. Wu, J. qi Yang, and Z. zhao Wang, “How to send a self-destructing email: A method of self-destructing email system,” in Prof. of the IEEE International Congress on Big Data, 2014, pp.304–309. 2. R. Lu, H. Zhu, X. Liu, J. Liu, and J. Shao, “Toward efficient and privacy preserving computing in big data era,” IEEE Network, vol. 28, no. 4,pp. 46–50. 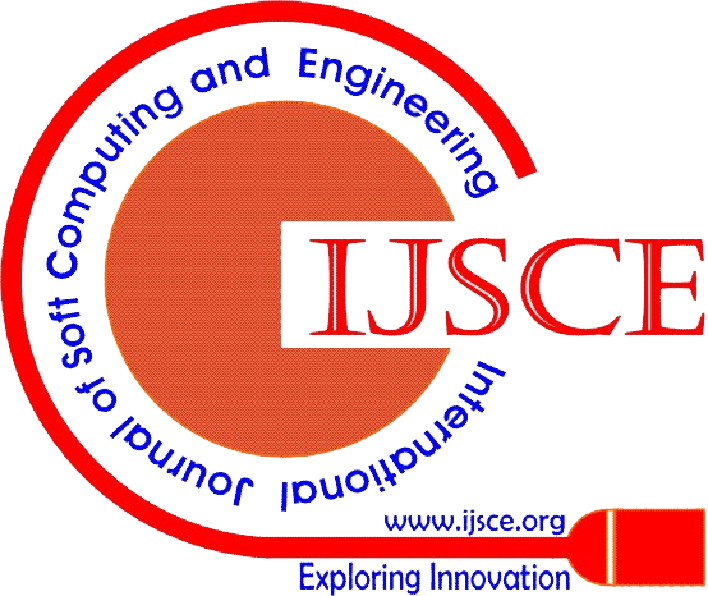 International Conference on Cloud Computing (CLOUD), 2014. 4. R. Geambasu, T. Kohno, A. Levy, and H. M. Levy, “Vanish: Increasing data privacy with self-destructing data,” in Proc. of the USENIX Security Symposium, Montreal, Canada, August 2009, pp. 299–315. Abstract: Energy conserving measure is one of important factors that must be measured in constructions of building, an energy conserving measure leads to the practical thickness of the proper used insolent, the function of both the temperatures of the bounding surfaces and the thickness of the air layer are considered the apparent thermal conductivity of the air layer due to the combined modes of conduction and radiation which increases with the thickness. This paper introduces the design and implementation of an electronic digital meter suitable for the measurement of the apparent thermal conductivity and has been tested in eight departments of institute of technology/ Baghdad in four labs. Keywords: Energy, constructions, implementation, temperatures. 2. EMSD. "Code of Practice for Energy Efficiency of Building Services Installation", Electrical and Mechanical Services Department, 2015. 4. High Temperatures ^ High Pressures"Measurements of comparative apparent thermal conductivity of large monolithic silica aerogels for transparent superinsulation applications", 2002, volume 34, pages 549 ^ 559. 5. Ladevie B, Batsale J C, Fudym O, 1999 Int. Commun. Heat Mass Transf. 27 473 ^ 484. 7. Manohar, K., D.W. Yarbrough, and G.S. Kochhar, “Building Thermal Insulation-Biodegradable Sugarcane and Coconut Fiber,” J. of Thermal Envelope and Building Science 23 (3) 263-276 (2000). 8. Olivier, Paul A., “The Rice Hull House”, Engineering, Separation, & Recycling, Washington, LA (2003). Abstract: A historical document that have been affected by degradation and that are of poor image quality is difficult and continues to be a focus of research in the field of image processing. So, there is the need of image restoration techniques that can improve the visibility for the human eye to directly read these documents. Document image restoration aims to improve the document image quality by reducing the noise level, which not only enhance human perception, but also facilitate the subsequent automated image processing. In this research work, we are using hybrid approach of swarm intelligence based Intelligent Water Drops Algorithm (IWD) and Sauvola Binarisation method. IWD is a nature inspired optimization algorithm that work as per the moving water droplets with soil particle obstacles in their path. Sauvola’s algorithm is an improvement of Niblack’s method which is based on the local mean and standard deviation of the image. Sauvola’s approach computes the threshold value by using the dynamic range of gray-value standard deviation. The obtained results are compared with the Sauvola, Niblack, Wolf, M1-S, M2-N, M3-W algorithms. The results are also evaluated in parametric form with PSNR and F-Measure values. Keywords: Intelligent Water Drops Algorithm, Niblack Method, Sauvola Method, Image Enhancement, Ancient Documents. 1. Gonzalez, R. C., Woods, R. E., & Eddins, S. L. (2004). Digital image processing using MATLAB. Pearson Education India. 2. Kapur, J. N., Sahoo, P. K., & Wong, A. K. (1985). A new method for gray-level picture thresholding using the entropy of the histogram. Computer vision, graphics, and image processing, 29(3), 273-285. 3. de Albuquerque, M. P., Esquef, I. A., & Mello, A. G. (2004). Image thresholding using Tsallis entropy. Pattern Recognition Letters, 25(9), 1059-1065. 4. Kittler, J., & Illingworth, J. (1986). Minimum error thresholding. Pattern recognition, 19(1), 41-47. 5. Shah-Hosseini, H. (2007, September). Problem solving by intelligent water drops. In Evolutionary Computation, 2007. CEC 2007. IEEE Congress on (pp. 3226-3231). IEEE. 6. Shah-Hosseini, H. (2009). The intelligent water drops algorithm: a nature-inspired swarm-based optimization algorithm. International Journal of Bio-Inspired Computation, 1(1), 71-79. 7. Salmanpour, S., Omranpour, H., & Motameni, H. (2013, November). An intelligent water drops algorithm for solving robot path planning problem. In Computational Intelligence and Informatics (CINTI), 2013 IEEE 14th International Symposium on (pp. 333-338). IEEE. 8. Kamkar, I., Akbarzadeh-T, M. R., & Yaghoobi, M. (2010, October). Intelligent water drops a new optimization algorithm for solving the vehicle routing problem. In Systems Man and Cybernetics (SMC), 2010 IEEE International Conference on (pp. 4142-4146). IEEE. 9. Hatamlou, A. (2013). Black hole: A new heuristic optimization approach for data clustering. Information Sciences, 222, 175-184. 10. Shah-Hosseini, H. (2008). Intelligent water drops algorithm: A new optimization method for solving the multiple knapsack problem. International Journal of Intelligent Computing and Cybernetics, 1(2), 193-212. 11. Sehad, A., Chibani, Y., & Cheriet, M. (2014, September). Gabor Filters for Degraded Document Image Binarization. In Frontiers in Handwriting Recognition (ICFHR), 2014 14th International Conference on (pp. 702-707). IEEE. Abstract: Abandoned object detection is an essential requirement in many video surveillance contexts. In this paper, we propose a method to detect abandoned object from surveillance video. Different from conventional approaches that mostly rely on pixel-level processing, we perform region-level analysis in both background maintenance and static foreground object detection. In background maintenance, region-level information is fed back to adaptively control the learning rate. In static foreground object detection, region-level analysis double-checks the validity of candidate abandoned blobs. Different from conventional approaches that mostly rely on pixel-level processing, we perform region-level analysis. In this paper, we present an abandoned object detection system based on blob detection methods are aimed at detecting regions. In a digital image that differs in properties, such as brightness or color, compared to surrounding regions. Informally, a blob is a region of an image in which some properties are constant or approximately constant. All the points in a blob can be considered in some sense to be similar to each other. In this paper we are performing a real time application using the Raspberry Pi processor and a Raspberry Pi camera. Keywords: Abandoned object, Video surveillance, Framing, Image, Pixels. 1. J. Martínez-del-Rincón, J. E. Herrero-Jaraba, J. R. Gómez, and C. Orrite-Urunuela, “Automatic left luggage detection and tracking using multi-camera UKF,” in Proc. IEEE 9th IEEE Int. Workshop PETS, Jun. 2006, pp. 59–66. 2. F. Porikli, Y. Ivanov, and T. Haga, “Robust abandoned object detection using dual foregrounds,” EURASIP J. Adv. Signal Process., vol. 2008, Jan. 2008, Art. ID 30. 3. R. H. Evangelio, T. Senst, and T. Sikora, “Detection of static objects for the task of video surveillance,” in Proc. IEEE WACV, Jan. 2011, pp. 534–540. 4. Y. Tian, R. S. Feris, H. Liu, A. Hampapur, and M.-T. Sun, “Robust detection of abandoned and removed objects in complex surveillance videos,” IEEE Trans. Syst., Man, Cybern. C, Appl. Rev., vol. 41, no. 5, pp. 565–576, Sep. 2011. 5. Q. Fan and S. Pankanti, “Modeling of temporarily static objects for robust abandoned object detection in urban surveillance,” in Proc. 8th IEEE Int. Conf. AVSS, Aug./Sep. 2011, pp. 36–41. 6. Q. Fan, P. Gabbur, and S. Pankanti, “Relative attributes for largescale abandoned object detection,” in Proc. IEEE ICCV, Dec. 2013, pp. 2736–2743. 7. H.-H. Liao, J.-Y. Chang, and L.-G. Chen, “A localized approach to abandoned luggage detection with foreground-mask sampling,” in Proc. IEEE 5th Int. Conf. AVSS, Sep. 2008, pp. 132–139. 8. J. Pan, Q. Fan, and S. Pankanti, “Robust abandoned object detection using region-level analysis,” in Proc. 18th IEEE ICIP, Sep. 2011, pp. 3597–3600. 9. F. Lv, X. Song, B. Wu, V. K. Singh, and R. Nevatia, “Left-luggage detection using Bayesian inference,” in Proc. IEEE Int. Workshop PETS, 2006, pp. 83–90. 10. L. Li, R. Luo, R. Ma, W. Huang, and K. Leman, “Evaluation of an IVS system for abandoned object detection on PETS 2006 datasets,” in Proc. IEEE Workshop PETS, 2006, pp. 91–98. 11. E. Auvinet, E. Grossmann, C. Rougier, M. Dahmane, and J. Meunier, “Left-luggage detection using homographies and simple heuristics,” in Proc. 9th IEEE Int. Workshop PETS, 2006, pp. 51–58. 12. C. Stauffer and W. E. L. Grimson, “Adaptive background mixture models for real-time tracking,” in Proc. IEEE Comput. Soc. Conf. CVPR, vol. 2. Jun. 1999, pp. 246–252. 13. K. Kim, T. H. Chalidabhongse, D. Harwood, and L. Davis, “Realtime foreground-background segmentation using codebook model,” Real-Time Imag., vol. 11, no. 3, pp. 172–185, 2005. 14. Z. Zivkovic, “Improved adaptive Gaussian mixture model for background subtraction,” in Proc. 17th ICPR, 2004, pp. 28–31. 15. Y.-T. Chen, C.-S. Chen, C.-R. Huang, and Y.-P. Hung, “Efficient hierarchical method for background subtraction,” Pattern Recognit., vol. 40, no. 10, pp. 2706–2715, 2007. 16. PETS 2006 Dataset. [Online]. Available: http://www.cvg.reading.ac.uk/ PETS2006/data.html, accessed Mar. 17, 2015.